Build a drug free business, improve productivity and safety, and gain Drug-Free Workplace state certification, which provides several tax benefits. Each of our programs takes an one hour to take. Browse our collection below. Our Effects of Marijuana Training helps employers meet state drug-free workplace certification requirements. Certification usually provides workers' comp discounts and tax breaks. It is good information to know for employees who are subject to workplace marijuana drug testing and for those who would like to learn more about marijuana and its effects. Our Amphetamines and Opiates in the Workplace Training will help employers qualify for certification of drug-free workplace, association certification, and contractor requirements. It will also improve workplace safety and productivity. Marijuana, Cocaine, and PCP in the Workplace provides your employees with the info they need to make good decisions regarding drugs and alcohol. As a result, your workplace will be safer and more productive. Keep the drama out of the workplace and help create a safer, more productive workplace with our training program. 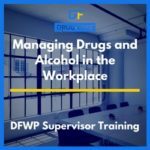 Our Uppers, Downers, and All-Arounders Training provides employees with high-quality information on drugs and alcohol. 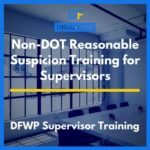 The training will help them make better decisions, keeping your workplace safe and productive. 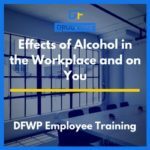 Our Effects of Alcohol in the Workplace and On You Training informs employees about alcohol's effects on the workplace and helps them make better choices. And if all of your employees have the right information, your workplace will be better for it. 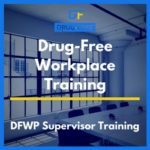 Our Drug-Free Workplace Training is for supervisors in a drug-free workplace program, especially those who are new to the program and/or need refreshing in the fundamentals of drug-free workplaces. 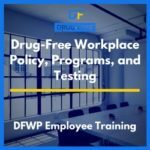 Drug-Free Workplace Training meets state certification requirements and helps you get a workers comp premium discount and tax breaks. So improve workplace safety and productivity by giving your supervisors the training they need. Our Managing Drugs and Alcohol in the Workplace Training is for supervisors looking to improve their skills in dealing with workplace performance problems when drugs and alcohol are involved. Make sure you can positively influence your employees and get our training today! Each drug-free workplace training program includes several courses. Below is a list of courses included in our programs.